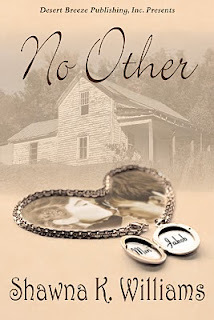 NO OTHER is Shawna Williams' debut novel, and it releases THIS SATURDAY, MAY 1. To celebrate, she is giving away a ton of goodies in a contest on her blog. Nice stuff, like posters, notebooks, jewelry, soaps, lotions, and Amazon gift cards. Visit My Father's Oldsmobile for details on the many ways to enter. I've read her book (yep, I was a beta reader for her) and I have to tell you I loved it. 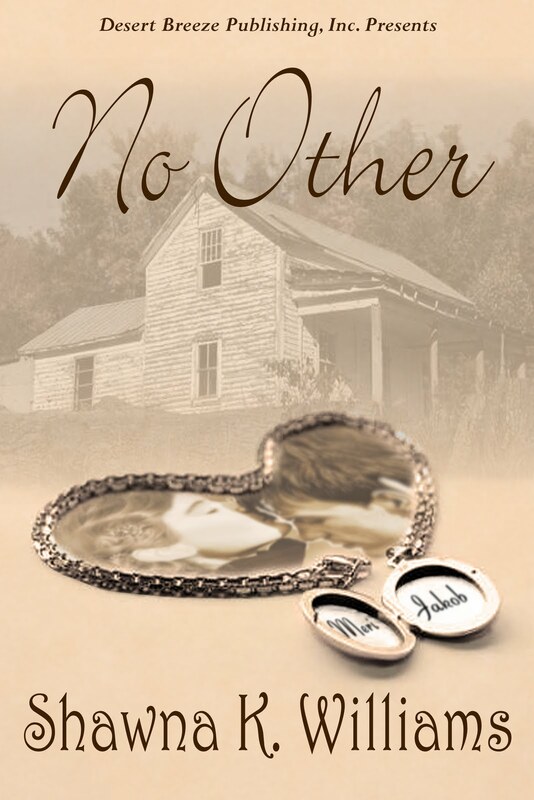 Shawna and I "met" out of mutual need for beta-readers. We became friends because we loved each other's writing so much. Her characterization skills are fabulous, and she made me have to add a romance to my list of favorite books ever. That takes talent, folks! Whoo hoo No Other, cannot wait!